Up here in the “firmly enthusiast” $500-ish territory you’ve got two options: Nvidia’s $500 GeForce RTX 2070 and AMD’s $500 Radeon RX Vega 64. And really, you’ve only got one option. The Radeon card has suffered from severe pricing inflation and availability woes since its August 2017 launch, and frankly it can’t compete with the RTX 2070 in performance or real-world bang-for-buck. These graphics cards push a 144Hz 1440p monitor damned well in many games, or inch ever-closer to 60 fps at 4K resolution, especially if you pair them with a G-Sync monitor like the luscious, $600 ASUS ROG Swift PG278QR (though it costs more than the graphics cards themselves). Our pick for the best of the bunch, the GeForce RTX 2070, actually flirts with or surpasses 60 fps at 4K in many of the games we’ve tested thanks to its enhanced performance. Bumping in-game graphics settings from Ultra down to High should send the card’s frame rates soaring past the mark. The GeForce RTX 2070 offers a 10- to 15-percent average performance improvement over the GTX 1080 Founders Edition. That grows to just over 20 percent in games that respond well to hardware that can process GPU compute tasks asynchronously, like Rainbow Six Siege and Middle-earth: Shadow of War. Nvidia’s one-click Scanner auto-overclocking tool makes adding around 5 percent more performance a breeze. Nvidia’s GeForce RTX 2070 Founders Edition. Plus, Nvidia’s GeForce RTX GPUs are infused with dedicated hardware that support real-time ray tracing and enhance visuals with the power of machine learning and the company’s Saturn V supercomputer—feats no other graphics cards can match. The RTX 2070 has half as many dedicated ray tracing cores as the $1,200 GTX 2080 Ti, so if you want peak ray tracing performance, you’ll need to spend more. Regardless, the GeForce RTX 2070 comes with that dedicated hardware in case the features do catch fire. Coupled with the performance boost in traditional games, it’s a no-brainer unless you find a GTX 1080 at an exceptional discount. We recommend EVGA’s GeForce RTX 2070 XC ($550 on Newegg), an overclocked, custom-cooled model that’s significantly cheaper than Nvidia’s Founders Edition card. If you want to dive headfirst into the word of 4K gaming, you want either the GeForce RTX 2080 or AMD’s Radeon VII, each of which will set you back $700. Practically, you’ll probably wind up with an RTX 2080, since the supply of Radeon VIIs has been very limited since launch. Both cards run neck-and-neck in traditional gaming performance, delivering a consistent 60 frames per second at 4K resolution with plenty of graphical bells and whistles cranked, though each GPU claims significant victories over the other in select games. 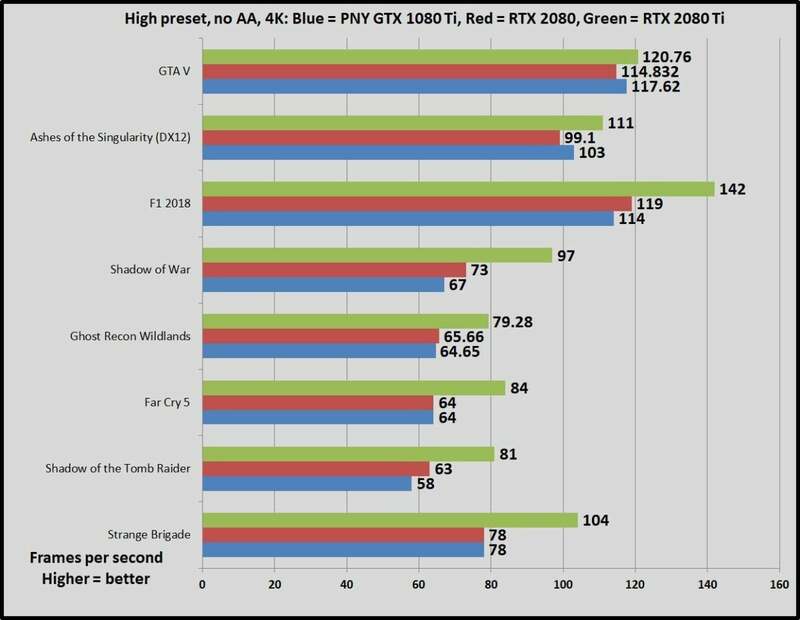 The GeForce RTX 2080 is slightly faster on average. In games that can’t quite hit 60 fps at Ultra graphics settings, dialing back the anti-aliasing (which isn’t a necessity at pixel-packed 4K) and turning some visual options to High will get you there. Like the GeForce RTX 2070, these are excellent candidates for pairing with a 4K G-Sync monitor, and they deliver superb high refresh-rate 1440p gaming experiences too. You can’t go wrong with either of these graphics cards (unless you already have a similarly performing GTX 1080 Ti, that is). The Radeon VII packs a massive 16GB of HBM2 blazing along at 1TBps of bandwidth, which outpaces the RTX 2080’s 11GB of GDDR6 memory and could provide a substantial boost in content creation tasks if you use your GPU for work as well as play. On the flip side, the GeForce RTX 2080 Founders Edition works with Nvidia’s ultra-popular CUDA compute workloads, runs much quieter than the Radeon VII, and offers the same real-time ray tracing and Deep Learning Super Sampling (DLSS) capabilities as its RTX brethren. The gaming world finally blew past the 4K/60 barrier in summer, 2018. 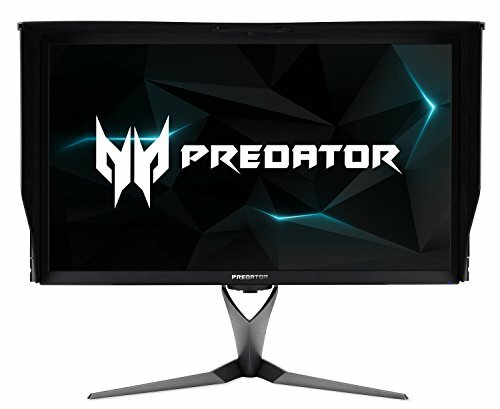 Between the release of 4K, 144Hz G-Sync HDR monitors like the Acer Predator 27 and the September 27 release of Nvidia’s monstrous GeForce RTX 2080 Ti, you no longer need to compromise on sheer face-melting speed to achieve maximum fidelity. You can have your cake and eat it, too. The GeForce RTX 2080 Ti surpasses the hallowed 60-fps barrier across our entire benchmarking suite, save for in Ghost Recon Wildlands, which designed its upper-tier graphics settings to melt even the most potent GPUs. If you disable anti-aliasing and drop the graphics options from Ultra to High—reasonable, common compromises at 4K resolution that sacrifice little in visual quality—then it clears 80 fps across the board. This puppy howls. 4K gaming performance with High graphics settings and no anti-aliasing. The GeForce RTX 2080 Ti is the green bar. The card might get even faster in the future, too. Like the other GeForce RTX 20-series GPUs, it includes dedicated hardware for Deep Learning Super Sampling, which improves performance by a whopping 39 percent in Nvidia’s demos. 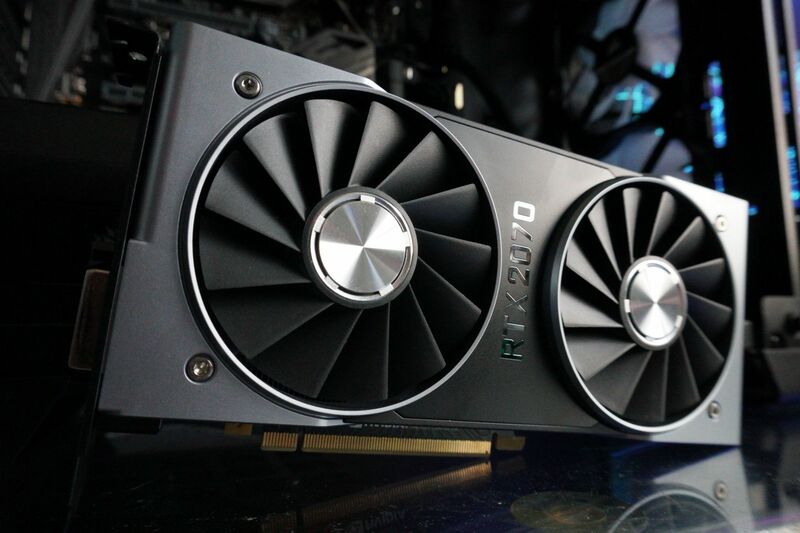 If developers embrace DLSS, the RTX 2080 Ti could become even more fearsome, and while initial uptake has been slow, dozens of titles have lined up ray tracing or DLSS support. Our deep-dive into the Nvidia Turing GPU inside the GeForce RTX 2080 and 2080 Ti explains these new technologies in detail if you’re. But be warned: This glorious future for gaming doesn’t come cheap if you want to buy in today. The first G-Sync HDR monitors go for a cool $2,000, though a less-vibrant 4K, 144Hz G-Sync display will launch soon for $1,300. And while the GeForce RTX 2080 Ti ostensibly starts at $1,000—already a $300 increase over the GTX 1080 Ti—the Nvidia RTX 2080 Ti costs $1,200 at Best BuyRemove non-product link or GeForce.com in reality. Custom, overclocked models by the likes of EVGA and MSI cost even more in some cases. Living on the cutting-edge never comes cheap, but this generation, it’s truly luxury-priced. If you can afford it, though, playing HDR games at 4K, 144Hz is nothing short of glorious. 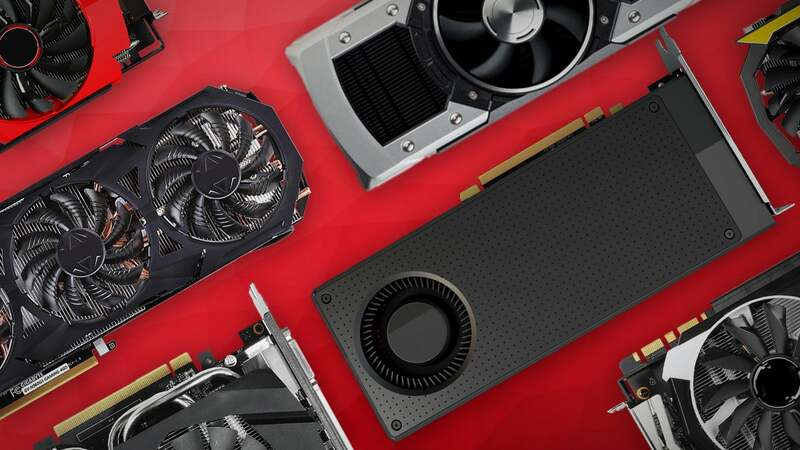 If you want to shop beyond the scope of our picks, know that finding the right graphics card can be tricky. Various vendors offer customized versions of every GPU. For example, you can buy different Radeon RX 570 models from Sapphire, XFX, Asus, MSI, and PowerColor. Overclocks: Higher-priced custom models are often overclocked out-of-the-box to varying degrees, which leads to higher performance. Cooling solutions: Many graphics cards are available with custom coolers that lower temperatures and fan noise. The vast majority perform well. Liquid-cooled graphics cards run even cooler, but require extra room inside your case for the tubing and radiator. Avoid graphics cards with single-fan, blower-style cooling systems if you can help it, unless you have a small-form-factor PC or plan on using custom water-cooling blocks. Length: Many graphics cards are of a similar size, but longer and shorter models of many GPUs exist. Double-check that your chosen graphics card will fit in your case before you buy. Compatibility: Not all hardware supports a wide range of connectivity options. Higher-end graphics cards may lack DVI ports, while lower-end monitors may lack DisplayPorts. Ensure your graphics card and monitor can connect to each other. Likewise, make sure your power supply meets the recommended wattage for the graphics card you choose. Real-time ray tracing and DLSS: While any graphics card can technically process real-time ray tracing, only Nvidia’s GeForce RTX graphics cards contain hardware dedicated to running the bleeding-edge tech at acceptable frame rates. 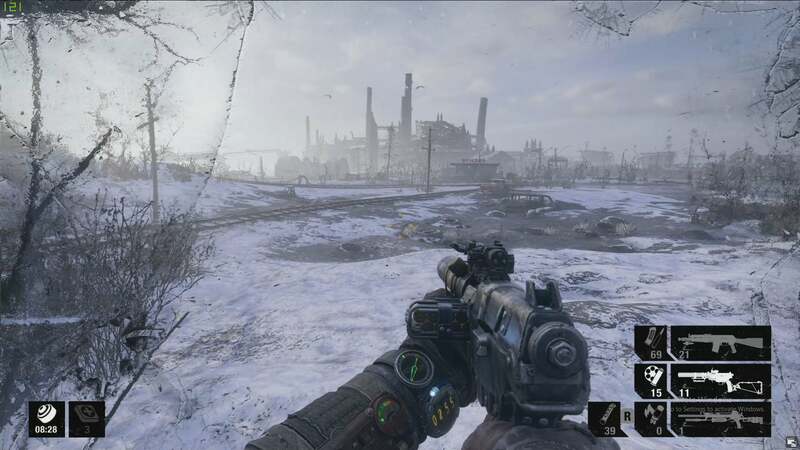 They also include dedicated tensor cores for processing machine learning tasks such as Deep Learning Super Sampling, which uses AI to speed up the performance of your games with minimal hit to visual fidelity—in theory. In reality, image quality can take a hit under DLSS, although Nvidia has rapidly fixed games where the issue rears its head. That’s the beauty of machine learning. It can always get better. Below is a list of our most recent reviews for individual graphics cards. We’ve kept it to the most current GPUs. Nvidia's GeForce GTX 1660 Ti is the best 1080p GPU you can buy, and Asus's versatile and potent ROG Strix design makes it even better, albeit at a significant price premium. Lags behind Nvidia GPUs in power efficiency. The Radeon RX 550 delivers tremendous value to e-sports gamers and home theater PC owners, but high pricing compared to the RX 560 renders it borderline irrelevant.